Feb. 13, 2018 — After a respite from House retirements for a little more than a week, yet another announcement came on Friday. 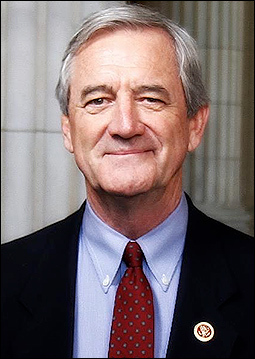 Veteran Minnesota Rep. Rick Nolan (D-Crosby/ Duluth) made public a decision not to seek a fourth term from his rural northeastern swing CD, MN-8, becoming the 54th US representative not to stand for re-election and the 17th Democrat in this category. Nolan’s retirement decision makes what was already a toss-up 2018 election campaign even more interesting. In the last two political contests, the congressman barely defeated Republican businessman Stewart Mills, 48-47 percent and 50.1 – 49.6 percent, respectively in 2014 and ’16, making MN-8 one of the most competitive districts in the country during that time span. The presidential vote gives us a clue into the district’s transition. During the Obama years, the Democratic nominee/president, won here with 53-44 and 52-46 percent margins in 2008 (against John McCain) and 2012 (opposite Mitt Romney). But, in 2016, President Trump crushed Hillary Clinton with a 54-39 percent victory spread. The Nolan retirement move marks the second time he is leaving the House after serving three consecutive terms. Originally elected back in 1974 from the 6th District, which was then and is today a more rural/suburban seat anchored in the northern Minneapolis-St. Paul region, the congressman chose not to seek re-election in 1980. He was out of elective politics for 32 years, until he returned to Congress in 2012 from the previously solid farm-labor Democratic district in Minnesota’s upper northeastern sector. For decades, the 8th CD, known as the Iron Range District, has been anchored in the city of Duluth and St. Louis County. During a 36-year period, Nolan’s Democratic colleague, Jim Oberstar, would represent the area until his upset defeat in 2010. In that year, Republican Chip Cravaack shocked the political establishment with his 48-47 percent ouster of the veteran lawmaker. Two years later, Nolan would return the district to the Democratic column, unseating Rep. Cravaack, 54-45 percent. Up until Friday, St. Louis County Commissioner Pete Stauber, a former professional hockey player, was becoming the consensus Republican candidate. Mills, despite coming frustratingly close to victory in the last two elections, declined to try a third time. Now, however, things may drastically change. The two-time congressional nominee said over the weekend that he would consider entering an open seat race. State House Speaker Kurt Daudt (R-Cambridge), who had been mentioned as a possible candidate in the new Senate special election sweepstakes, is also not ruling out jumping into this newly open House race. For the Democrats, former FBI counter terrorism analyst Leah Phifer had already been challenging Rep. Nolan, and she is expected to remain in the race. 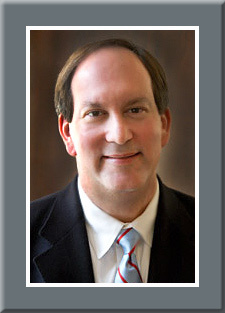 State Sen. Tony Lourey (D-Kerrick) was quoted over the weekend as saying he is “seriously looking” at the congressional race. So is state Rep. Jason Metsa (D-Virginia) and former television news anchor Michelle Lee. The Minnesota political party endorsing conventions play a large role in determining nominees, and the local county conventions to choose delegates to the district meeting, and then the state conclave are beginning in the next several weeks. Democrats will hold county meetings starting in mid-April; Republicans in early May. Official endorsements will come at the state conventions in June. If one or more candidates choose to take their nomination fight to a primary, that electoral contest will occur on Aug. 14. We can expect the 8th District general election campaign to be in toss-up mode from now until Election Day. A Republican conversion here would go a long way to helping secure the GOP majority.